The RAMANRXN4™ gas-phase Raman analyzer offers an alternative to typical process gas analyzers. The chemical specificity and spectral range of the RAMANRXN4™ gas-phase analyzer allows multiple gases to be independently identified without chromatographic separation over concentration ranges from ppm levels to 100%. 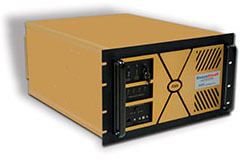 Benefits of Raman based gas-phase analysis include fiber-optic connectivity to remote sampling locations (no sample loops required), no consumables, and a single RAMANRXN4™ analyzer can measure up to four sample locations simultaneously. Thus Raman gas analyzers can offer both lower site installation costs, and lower cost-of-ownership than traditional process gas analyzers. 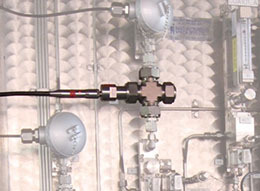 Installation flexibility is accomplished by coupling the RAMANRXN4™ analyzer with Kaiser's AirHead™ high-performance gas-phase probe for insertion sampling. The AirHead™ probe can be coupled either directly to an appropriate process or to a fast transfer loop. The RAMANRXN4™ gas-phase fiber-coupled Raman analyzer serves the needs of the analytical Raman market, process analytics, petrochemical, chemical, and polymer markets, as well as the pharmaceutical and bioprocessing markets. (width × depth × height) 19" × 24" × 10.5"